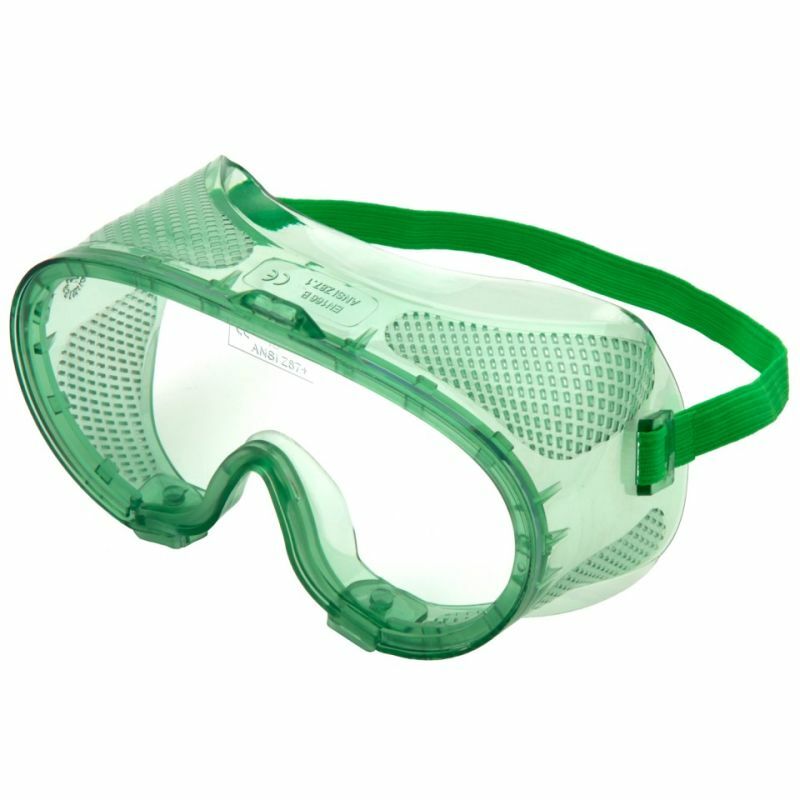 Specially developed to provide protection against low-impact particles, the Supertouch E30 Safety Goggles are the perfect choice for a range of professionals. Featuring a ventilated design and an adjustable elasticated strap, the Supertouch E30 Goggles provide great user comfort, which is ideal for longer periods of work. For maximum comfort when wearing the goggles, the Supertouch E30 Safety Goggles feature a perforated PVC outer that allows for an excellent degree of ventilation. This is ideal for people that are working in warm areas as well as people that will be wearing the goggles for extended periods of time. To ensure that your goggles retain their high level of clarity – even after extended periods of use – the E30 Safety Goggles feature scratch-resistant polycarbonate lenses. This makes the goggles ideal for work that requires both protection and a high level of attention to detail. The E30 Goggles are available in a universal size that should suit most users. To provide a greater level of comfort and fit, the goggles include an adjustable elasticated strap.